Kyle is an experienced workshop facilitator. He is regularly invited by organizations to prepare and present on a range of issues related to LGBTQ human rights law. He works closely with organizations to design workshops that suit their particular needs. 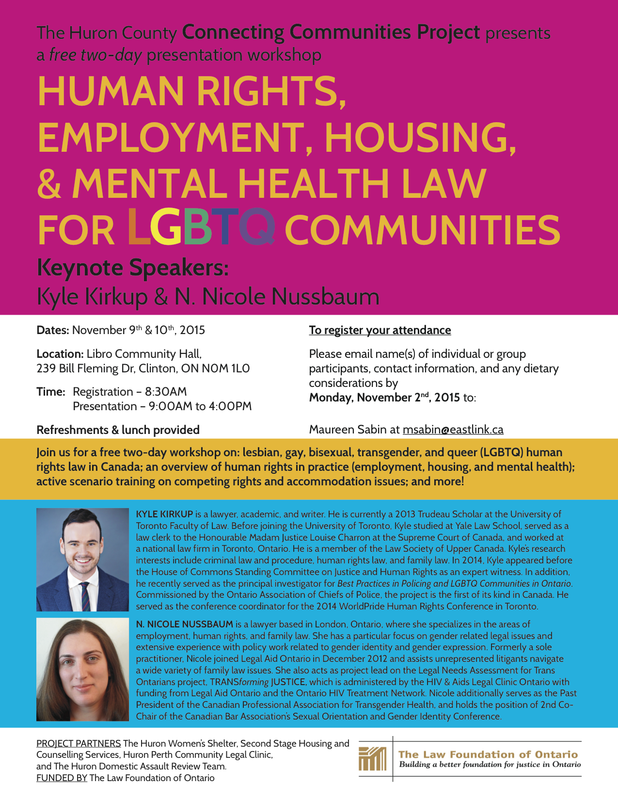 For example, in November 2015, Kyle partnered with Nicole N. Nussbaum to facilitate a two-day workshop on human rights, employment, housing, and mental health law for LGBTQ communities. The workshop was supported by the Law Foundation of Ontario. Below is a sample of the workshop materials.